The need: The Northern Australian Biosecurity Surveillance (NABS) program wanted an initiative that enables private cattle vets in Northern Australia to increase both the number and quality of Significant Disease Investigations they do, overcoming the constraints identified in the NABS Stakeholder Needs Analysis. What we did: The Harris Park Group co-developed the network concept with a working group that included seven veterinary practices to ensure the package components were well-pitched and relevant to the businesses of those who do Significant Disease Investigations. Principles guiding the design were “what makes it very, very easy to do”, that can be applied consistently across the region (for all state and territory jurisdictions), and builds a Northern Australian perspective. 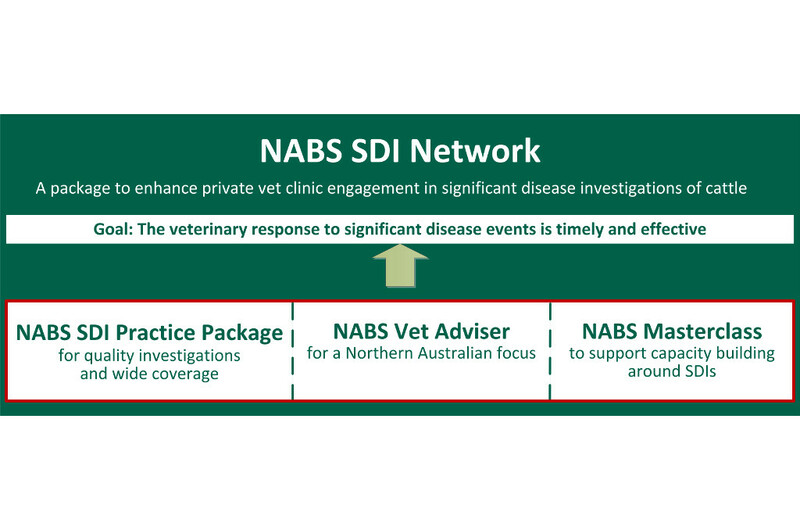 The SDI Network concept that emerged has three pillars: a NABS SDI Practice Package, NABS Vet Adviser and NABS Masterclass (as shown in the diagram).